Packers Win at the Trade Deadline…Yep. Another Sunday, another tough loss for the Packers. Once again, a game that they would have a great chance to win but come up short. This time it was ego over teamwork to put a third L in the column. Rams win 29-27. On Tuesday, the NFL trade deadline (at 4 pm ET) comes along and I didn’t think anything was going to happen. Suddenly, my phone begins to blow up when Ian Rapoport of NFL.com reported that the Packers were shopping Ty Montgomery. The same Ty Montgomery that ran the ball out on the kickoff with 2 minutes left. Instead of taking a knee which would have given Aaron Rodgers a chance to win the game, but the ball is punched out by Rams linebacker Ramik Wilson. Packers lose. They aren’t known for making moves at the deadline, let alone bring in free agents until this year. 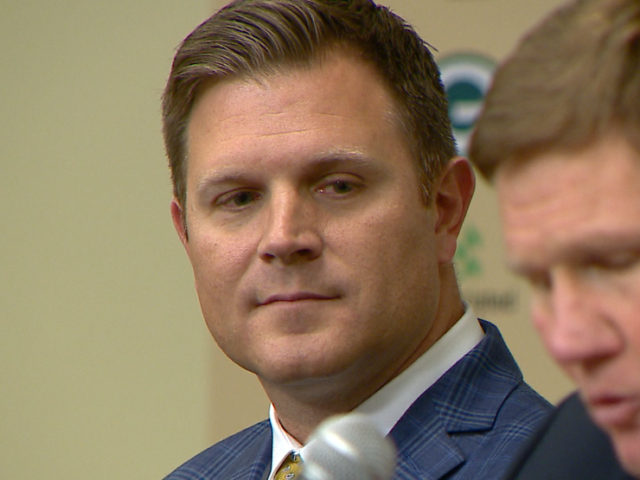 General manager Brian Gutekunst has been aggressive but financially intelligent with his offseason moves. The phone buzzed again with the headline. They actually pulled the trigger and sent Montgomery out the door while gaining a future draft pick. Makes sense because he was going to be a free agent after the season. At least you get something and it opens up the running game for Aaron Jones, Jamaal Williams. I’m checking for a door to an alternate universe now. It’s done now, case closed. The phone buzzed again and this time it didn’t stop for a bit. Jaw dropped when I saw starting safety Ha-Ha Clinton Dix was traded to the Washington Redskins. Hey, this makes sense. According to the Wisconsin State Journal, Clinton-Dix told them last month about his future in Green Bay. Why would he say that early in the season? Because he was in the final year of his rookie contract and protecting his financial future. He was making 2.8 million this season and it was obvious that he wanted big money. I don’t blame him for that, just felt like it was way too early to make a statement like that. It gave ammo for Gutekunst to trade him and in exchange receive a 2019 fourth round pick. He’s always been a good player but this year, he has blown a lot of assignments and it just looked like he had one foot out the door. The national media ran with this full force. Putting Clinton-Dix on a pedestal, I didn’t realize he was at the magnitude of LeRoy Butler or Pro Football Hall of Famer Willie Wood. They painted this fatalist picture of the Packers selling at the deadline meant they quit on the season. They had two players who were going to be free agents after the season. Both had reason to be traded. One “slipped on the banana peel” thanks to missing his assignment to block Rams defensive end Aaron Donald and watched his playing time diminish week by week and the other gave reason to the media that Green Bay wasn’t in his future. I haven’t seen this before from a Packers’ front office being as active as they were at the trade deadline this year. Even if Green Bay doesn’t get to the Super Bowl this year, they were already winners for the future. 2 first round picks, 10 picks for 2019 and a 43 million dollar salary cap. In other news, I’m stoked for Packers-Patriots on Sunday Night Football. Jake Turner is the host of the passionate Turning Points podcast on iTunes and co-host with Mark Eckel on the Pack a Day podcast. Follow him on twitter at @JakeTurnerSport Instagram: jaketurner61. Packers Free Agency and a Trade: Yes and No's. This entry was posted in Authors, Jake Turner, Packers 2018-2019 Season and tagged 2018-19 Season, Brian Gutekunst, future, Green Bay Packers, Ha Ha Clinton Dix trade, NFL trade deadline, Packers, Packers Salary Cap, Ty Montgomery trade. Bookmark the permalink. Montgomery will easily be replaced, the key to the success of these moves will be if the Packers can replace HHCD without missing a beat. Williams has already indicated he’ll be assuming the S position, so we’ll see how he performs in that role and how whoever replaces him as starting CB takes over and produces. We did not improve the safety position, and as much as I’m a fan of Tramon I think it’s unrealistic to believe he’ll be as good as Dix at age 35. But maybe the Team needed some fresh air in the locker room. Monty’s fate was sealed when teammates (including Arod) didn’t have his back after his epic brain fart. We are 1/2 game out of first place, and with one less bad call and minus Monty’s fail and we’d be 5-2 without having played 60 good minutes yet. With Alexander, King, Jackson and Breeland all healthy now, Tramon just isn’t essential at corner anymore so you either put him at safety or you take your smartest, most experienced DB off the field. We’ll find out if we won if we can turn the 4th rd pick into something and not another Vince Biegel or Carl Bradford type of pick. Clinton-Dix was wildly inconsistent. A team source on Packers News said that after his Pro Bowl season, he began to get complacent, felt like he didn’t have to work as hard and developed a sense of entitlement. In other words, it’s addition by subtraction. We’ll be fine. Tramon is a true pro that more than capable of playing safety. If anything, that’s what Kentrell Brice needs. Clinton-Dix would gamble, take bad angles of pursuit and was a weak tackler.